Ministry includes many opportunities for leadership development, strategic planning, goal setting and goal execution. I have taken that experience, combined it with my business experience, and created customized training for organizations who want to learn how to lead at a higher level and accomplish their goals. Below is a quick bio and some of the companies I’ve worked with the last few years. Russ Adcox holds a degree in Business Administration from Lipscomb University and a M.A. in Ministry from Harding School of Theology. 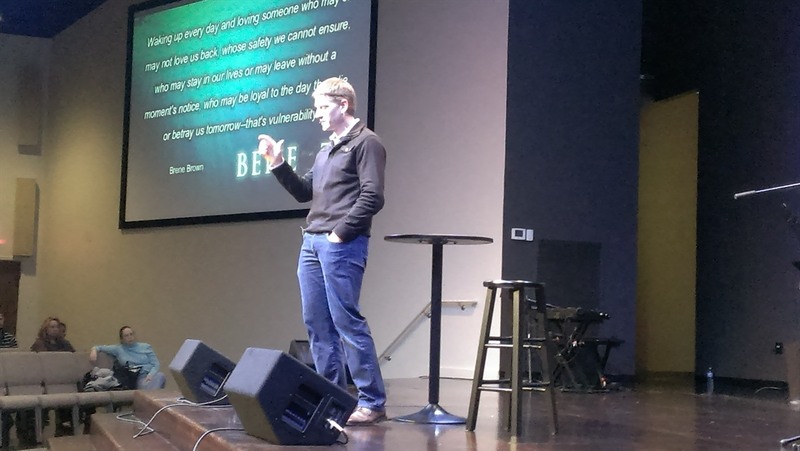 Since 2004, he’s served as the Senior Pastor of the Maury Hills Church in Columbia, TN. His primary duties involve teaching, strategic leadership and management of the 800 member church’s staff and volunteers. Before that, he spent five years working in the family business as the General Manager of Retail for Highland Corporation and continues to be involved in the business in an advisory role and as the managing partner of Hohenwald Financial Services. He’s a member of the Columbia Noon Rotary Club and currently serves as the club’s president. He’s also active member of several board of directors in the community including the Maury County Chamber of Commerce and Economic Alliance, Youth Education Foundation, Boys & Girls’ Club of Maury County and the Zion Christian Academy Foundation. His unique blend of ministry and business experience helps him relate to people in any organization. Leadership is about gaining perspective and great leaders lead from the top! Gaining awareness of your past and present realities is the key to creating a better future reality. Speed of the leader, speed of the team. Speed of the team, speed of the organization. Learning how to build cohesion in your team that creates shared vision and goals. Great ideas don’t change anything in your organization. It’s the consistent and persistent application of them that matters most. For most of us, setting goals isn’t our problem. It’s the execution of them! Russ helps organizations narrow their focus on what matters most for their future success and shares a plan for executing them at every level.